The First Steps for Autism program is designed for children aged zero to seven years of age. Our research supports that children who participate in this program make significant gains in their development. To apply for therapy services please download and complete an application form then return it to us. 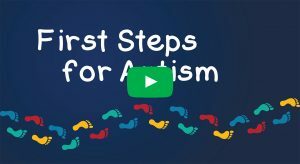 Watch the video below for an overview of our First Steps for Autism, early intervention program, for children aged 0-7 years. 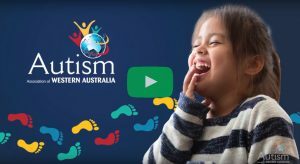 The therapy programs offered by the Autism Association of Western Australia are best-practice and founded on a wide body of evidence-based research on Autism, conducted with Curtin University. The research demonstrates that children who participate in our programs make significant gains in their skill development and school participation. A therapist from the team is allocated to be the key contact for each family. This therapist provides ongoing support and consultation and can be contacted at all times to support you and your family. Why choose our therapy services? 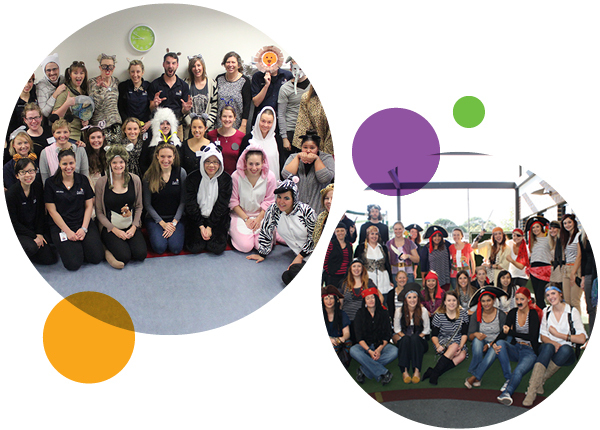 Our dedicated team at the Autism Association of Western Australia understands Autism and knows how to provide training, support and encouragement for families and individuals. Access the largest Autism organisation providing services to people with Autism and other related conditions from early childhood to adulthood. Draw on our 45 years of experience, providing services to families and the community. Work with a trans-disciplinary team of speech pathologists, occupational therapists, psychologists and social workers. Receive guidance from a consistent point of contact; one therapist is allocated to each family as the primary contact. Benefit from our strong collaborative relationships with the education sector. Access therapy across home, school and community settings. What type of support would you prefer? Attending therapy sessions at one of our centres. Enrolling in our specialist child care centre in Bedford. Arranging home, community or school-based therapy programs as outlined below. Not sure what would suit your child best? Simply contact us to arrange an appointment with our First Steps team. We are passionate and dedicated to making a difference and to creating opportunities for children with Autism and their families from early intervention and beyond. Over 90% of children who participate in our therapy programs, transition to full-time mainstream schools. We have strong networks with the education sector and work collaboratively to support successful transition into school. What happens at the therapy centres each day? Children engage in fun activities such as mat time, play, craft, snack, gym and self-care activities in small groups. These are run by therapists and integrate individual therapy goals for each child. Children develop skills and confidence in a safe environment that is structured and predictable, with an established routine. The Early Years Learning Framework for education is integrated into our group curriculum. We are passionate and dedicated to making a difference and to creating opportunities for children with Autism and their families from early intervention and beyond. Over 90 per cent of children who participate in our therapy programs, transition to full-time mainstream schools. the key contact for each family. This therapist provides ongoing support and consultation and can be contacted at all times to support you and your family. 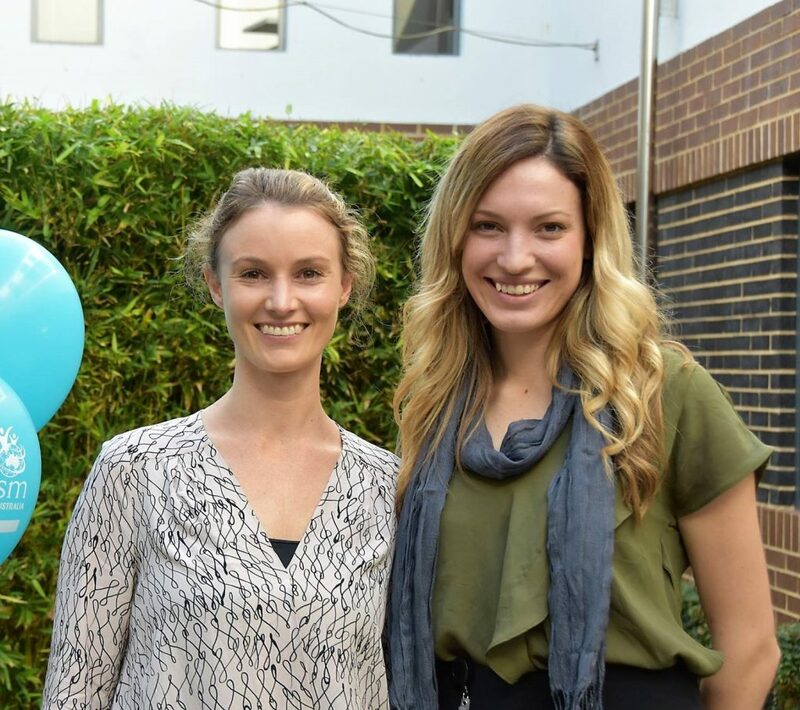 Our team also includes 2 staff members (Kate Cameron & Shana Bargiev) who are certified therapists in the Early Start Denver Model – a specialised therapy program for children with Autism. If your child is participating in the First Steps Therapy Program, whether at one of our centres or via a school, home or community-based program, the following support is also available for you and your family. An individual assessment is undertaken in collaboration with the family, to identify your child’s learning profile and areas for further skill development. Then an individualised therapy plan is created by a team of professionals, including occupational therapists, speech pathologists, specialist teachers, psychologists and therapy assistants. Gross motor and fine motor development. Your key therapist will work closely with you to integrate therapy strategies into family routines. In addition, therapists work in close collaboration with daycare and school educators to integrate therapy goals into the school routine. Together, we’ll help your child to develop the skills required for creating an enjoyable life. Support is available for siblings of children who are accessing our First Steps for Autism therapy program. Our team will work closely with your child’s school to facilitate the transition into new school environments, the integration of therapy goals within the School Individual Education Plan and to support curriculum modification and integration of visual strategies. Teachers are also encouraged to observe therapy sessions to replicate strategies that can be implemented into the classroom. We run parent training sessions whilst the children are engaged in therapy groups, called Early Learning Infobite’s, see the events calendar for dates. These are short information sessions on various topics such as communication, sensory processing and similar. Topics can also be requested by families. Each week we run parent coffee mornings. Come along for an informal chat with other families, facilitated by our therapists. Check the events calendar for upcoming gatherings. You’ll share information and engage local community organisations to provide information on local supports and services. Groups are currently run in Midland, Floreat, Bedford, Fremantle and Bunbury. Parents are key members of the team. Throughout the year, training workshops and coaching programs are run to assist you to turn everyday family life and events into learning opportunities for your child. See the event calendar for more information. See the events calendar to find out more about the teacher training workshops available during the year. Please speak with one of our First Steps for autism team to discuss accessing any of the above programs. Specialist visual resources will be prepared and implemented across home, school and community environments, whenever required, to assist in developing your child’s independence, communication and social participation. Most families start our program in our weekly group therapy program. These are run at our little stars center’s across Perth. Children attend for a minimum of one, three-hour session a week and participate in intensive individual and group therapy. This maximises therapy hours and also provides opportunities for children to develop skills that are required for effective participation in school. Families can participate in the weekly group therapy sessions, including observing your child engaged in activities, accessing coaching (where parents can practice implementing program goals in collaboration with a therapist), plus home, school and community support. For more than 45 years we’ve been developing and refining First Steps for Autism programs for children with Autism. The following programs are specifically designed for young children aged from zero to eight years of age. You can choose from centre-based or school, home or community-based options. Children as young as 18 months can participate in this program, which is run at our dedicated centres across Western Australia. Usually, families start with a weekly three-hour session, which includes 45 minutes of intensive one-to-one therapy. Groups are run by our specialist therapy team including Speech Pathologists, Occupational Therapists, Specialist Teachers, Psychologists and therapy assistants. The group size may range from three to 10 children, depending on the level of support required for each child. Intensity of support is reduced as children develop skills and independence. Parents and teachers are invited to observe and participate in both the group and individual therapy sessions. 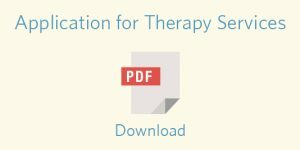 integration of therapy goals into family routines. We encourage you to invite your child’s teacher to observe both group and individual therapy sessions. Our therapists will spend time with the teacher to demonstrate strategies that can be included in the classroom or childcare setting to enhance participation and inclusion. Teachers can also contact your dedicated therapist at any time to discuss strategies to positively support behaviour and develop skills. What do the Little Stars therapy centres look like? All our therapy centres are architecturally designed to help children feel safe and secure. As the design of the centres mimics the school environment, it supports the development of skills required for school participation. Our therapy centres have purpose-built therapy rooms, where children attend individual & group therapy sessions in a quiet, distraction-free environment, so more challenging goals can be integrated. Visuals supports to aid understanding and facilitate expressive communication. A multipurpose play area incorporating snack areas. A sensory environment that facilitates participation. 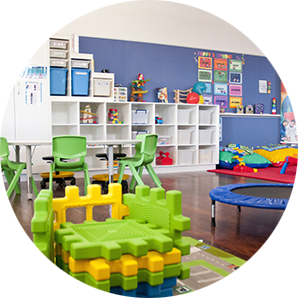 A group room that includes areas for mat time, craft skills and independent work areas. Self-care- toilets, dressing areas and bathrooms to facilitate the development of self-care skills. Observation rooms for teachers and parents to observe children during group and individual therapy session. Parent and teacher training rooms. Families may also choose a home, school and community-based therapy program, rather than attend sessions at one of our centres. The therapist will design activities to include in home and school routines, these are carefully selected to improve the skills identified in the individual assessment. As an example, focus areas might include communication, behavioural or social skills. The therapist will also work closely with the family and school teachers to provide direct therapy and coaching and guidance, as required. We believe in working together with parents and partners as part of our therapy team. Parents are involved in setting goals and supporting program implementation. Families accessing Little Stars Centres are welcome to observe their child engaged in the group curriculum and can participate in individual therapy sessions. Our therapists are also available to provide coaching to families to develop strategies to facilitate skill development. We work in close collaboration with families to integrate goals into daily routines, and we support parents to be strong advocates for their child across educational settings. We have many parent activities across the year including Parent Training, Parent Coffee Groups, Dads Day Out, Early Days workshops, Positive Partnership workshops and information sessions. Ask our First Steps team for more information on how you can be involved. Our experienced therapists run a range of school holiday programs to help develop skills and create social networks for children up to seven years of age. Contact the first steps team for more information. Parents and others who wish to learn more about communication and Autism are able to take part in the Hanen More than Words™ and TalkAbility™ intensive communication workshops, conducted by Hanen certified speech pathologists. These programs, run throughout the year across a 10-week period, are designed to help parents and carers more effectively support their child’s language and communication. Please see our training events calendar for more information and to find out when the next program will run. Intensive behaviour intervention: If families are not currently accessing our services and require short and intensive support in relation to behaviour, our specialist Behaviour Support team is on hand. The first step is an in-depth assessment, followed by the development of a Positive Behaviour Support Plan, personalised to the needs of your child. This program also includes training and coaching for parents, siblings and other supporters. Where additional support for communication is required, a specialist speech pathologist can conduct a more complex assessment. The goal will be to find suitable communication devices, which may or may not use technology. Many children with Autism find these supports helpful, especially as approximately 30% to 50% of children may not initially use functional speech to communicate. 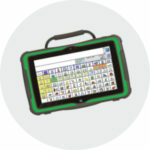 In these cases, an augmentative and alternative communication method (AAC) is introduced to support the development of functional communication. Our therapy team will explore what AAC supports best suit your child. 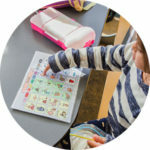 These could include low-tech AAC supports such as visual schedules, choice boards, communication books and picture exchange communication systems and similar. Even with access to these supports, some children may continue to experience frequent communication breakdowns which impact significantly on daily life. If your child requires such support, a more comprehensive communication system (such as a high-tech communication device) can be introduced. We have specialist speech pathologists available to provide this service, which includes an additional communication assessment. The goal is to find the ideal communication device, then provide intensive training to support the implementation of the device across home, school and the community. 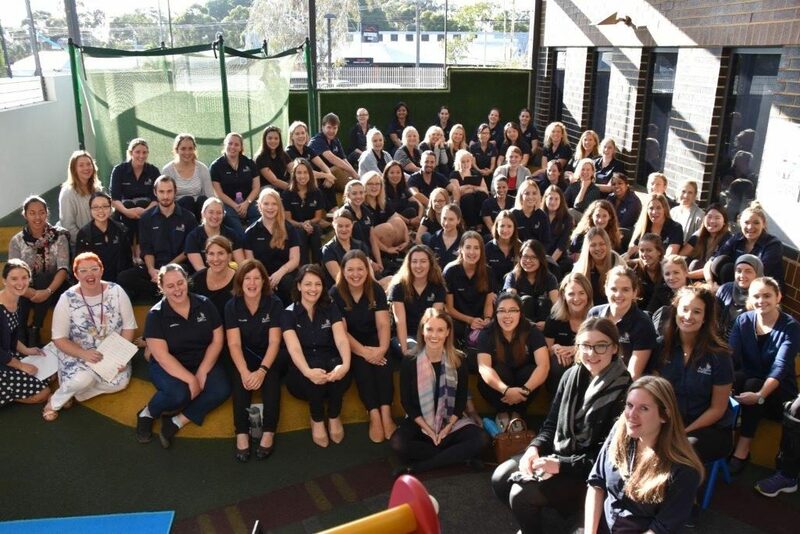 Late last year our three year old daughter was lucky enough to be enrolled at your new East Fremantle facility. We just wanted to say thank you to you and your staff. Paige showed significant steps forward in confidence, playfulness and joy which we had never seen outside of our own home. The East Fremantle facility, staff and programming is first rate. We didn’t feel like we were going to a clinic or hospital . Rather to a classroom or play group. Speaking to other parents and specialised staff made us feel that we had made the right choice. You really have helped us everyone at East Fremantle. Thank you. Our family will be forever grateful for all of the effort, and bubbles, that helped Riley to become the enthusiastic, bright and expressive boy he is today. You've all made our lives a lot richer and we can't thank you enough. Samuel has blossomed and grown ... from hist motor skills to his social awareness amongst hist peers, it has been amazing. We would like to say THANK YOU from the bottom of our hearts on the dedication you all had towards Mikayla and how far she has come since attending First Steps for Autism. It is the best decision we made for our daughter. My son was diagnosed with Autism in 2005 at the age of two years old, my husband and I were devastated, we then started searching for an option to help Ryan; early intervention. You gave us the opportunity to start early planning of his routine and we are very grateful for all (your) hard work. Ryan has achieved many challenges in life and is living as a normal 12-year-old child. Just recently in April 2016, Ryan represented Western Australia in Adelaide for javelin, which he came seventh in all of Australia. We encourage all parents to never stop searching and continue the unconditional love because every child can always achieve the impossible. I don’t know how to thank you enough for what you have done for Ben (and me) over the last three and a half years. You all do an amazing job and give us as parents hope and confidence in the future. These guys are wonderful. Such a detailed and tailored programme for each child who attends. Staff are all lovely and caring and genuinely listen to what's happening and have really great advice on how to handle it. We were really sad to have to switch to the Waikiki branch, but so happy to see some familiar faces there, and to feel like the continuity of care is the same wherever we are.